You are browsing the archive for 2019 April 10. Einstein’s theory of relativity paved the way for black holes’ discovery, but the concept behind their existence was so bizarre that even the scientific visionary was not convinced. More than a century ago, Albert Einstein stunned the world when he explained the universe through his theory of general relativity. The theory not only described the relationship between space, time, gravity and matter, it opened the door to the theoretical possibility of a particularly mind-boggling phenomenon that would eventually be called black holes. The first image of the shadow of the black hole in the center of M87 taken with the Event Horizon Telescope in 2019. 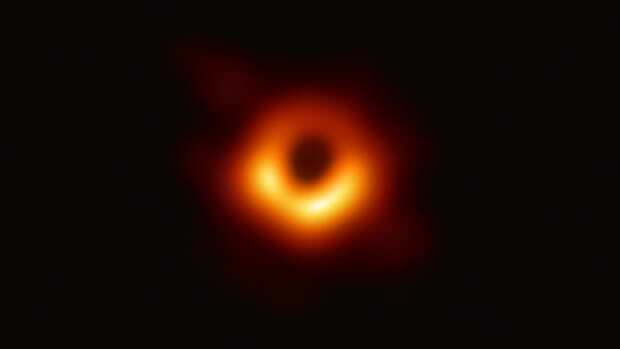 The unveiling of the first-ever picture of a black hole by the Event Horizon Telescope in April 2019, however, not only confirmed Einstein’s original theory, but also provided indisputable proof that the gravitational monsters are, in fact, real. Picture a flat rubber sheet (space-time) suspended above the ground. 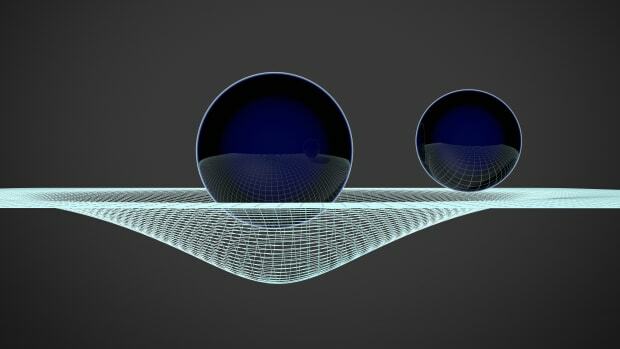 Place a bowling ball in the middle of the sheet (matter) and the sheet will distort around the mass, bending half way to the floor— this is matter telling space-time how to curve. Now roll a marble (matter) around the rubber sheet (space-time) and the marble’s trajectory will change, being deflected by the warped sheet— this is space-time telling matter how to move. Matter and space-time are inextricably linked, with gravity mediating their interaction. Now, place a singularity—a theoretical point of infinite density—onto the sheet, what would happen to space-time? It was German theoretical physicist Karl Schwarzschild, not Einstein, who used general relativity to describe this hypothetical situation, a situation that would become the most extreme test of general relativity. Gravitational waves are ripples in the curvature of space-time that propagate as waves traveling outward from their source. promise. On the second, he has little to show. will be a heavy lift. elections are no better than 50-50, and fading. platform, most consequentially in the auto sector. Have We been Losing at Trade? American presidents of both major parties from Franklin D.
and prosperity, and integral to promoting peace among nations. 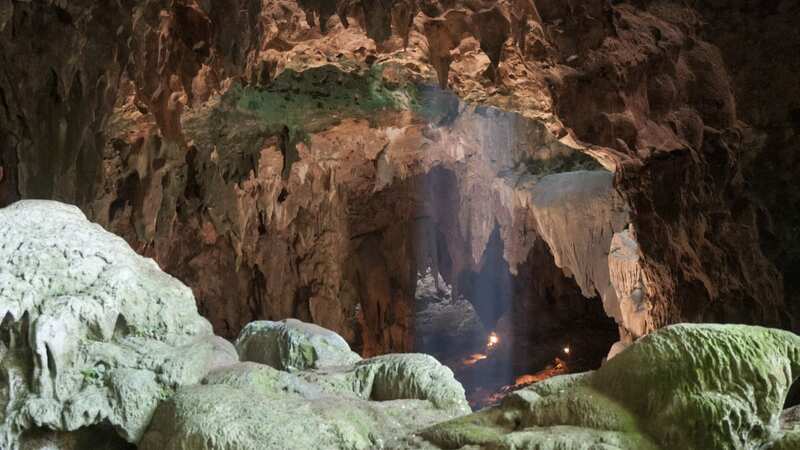 Dubbed Homo luzonensis, the newly identified species inhabited Luzon more than 50,000 years ago, during the Late Pleistocene epoch. This means they shared the Earth with other relatively advanced hominins, including Homo neanderthalensis (a.k.a. , they trace the remains to three different individuals, including at least one juvenile.